The Kodi media player in itself can give users the ultimate entertainment experience by indexing all entertaining files that are saved in the computer. In addition, Kodi add-ons can make each user’s experience all the more memorable and enjoyable. Users can stream videos on the internet and channel them to Kodi. What’s more is that those who have subscriptions to entertainment services such as HBO Now, Netflix, and NowTV, can have their accounts linked to their Kodi media player and they can watch their favorite shows and movies there. This makes Kodi an all-in-one entertainment application that will surely become indispensable to users. Before going on to the long list of Kodi add-ons, let us first discuss the legality issue that lurks behind Kodi usage. In order to link online streaming subscriptions to your Kodi player, you would need to install add-ons specific to each of the entertainment service. However, there are add-ons that do more than this basic premise. There are Kodi add-ons that allow users to view copyright videos and other materials for free, even without permission from the material’s creator. Because of these add-ons, Kodi is under hot water, especially by government agencies and entertainment media companies. Kodi is not illegal, but when add-ons such as the kind mentioned above are added with the intent of viewing copyrighted material, then that action in itself is against the law. Therefore, users should exercise caution when installing add-ons as not all add-ons conform to laws and regulations, or to the copyright law in particular. Exodus was once a top choice of most users, but its mechanism at TVAddons.org was shut down, leading to its demise. Exodus is still available for download through Kodil and Super Repository, but videos selected will no longer play. A branch of Exodus, Specto is gaining popularity among the Kodi media player users because of its huge movie database. In addition, Sky TV videos are also available through this add-on, although there’s no live feed. The good thing about Specto is that it crawls the internet to look for other sources for the videos on its list. When you select a video, a menu will pop up, giving you choices from which you can watch the specific video. BOB Unrestricted or BOB unleashed is a rich depository of online streaming services, most of which require users to have a subscription. If you have a subscription to premium channels, then BOB unleashed is best for you. This add-on is available in Nerds and NOOB repository. As its name suggests, Safehouse Movies only have movies on its list, whereas other Kodi add-ons are including TV shows and TV streaming. You can get this add-on from Dandy Media. SALTS, which is an acronym for “Stream All The Sources”, also has TV shows on its list, along with the movies. The Kodil repository offers this add-on. Snag Films mostly has Bollywood movies on its roster, but it also offers movies from other countries such as Korea and Africa. Poseidon is hailed as the new Exodus as it is becoming a favorite among Kodi users. You can get this add-on from the Mucky and Duck repository. If you’re looking for a diverse collection of movies, F.U.B.A.R. is the right fit. It has different categories including children’s entertainment. It also offers Bollywood movies and a whole lot of different movies. It is also available from the Mucky and Duck repository. Although Covenant is officially the replacement of Exodus, it is not becoming as popular as Poseidon since a lot of its links have been affected by the shutdown of its parent site. The Covenant add-on is available from XvBMC and Kodil repositories. StreamHub is available from its own repository which is also named StreamHub. This add-on allows users to gain access to live TV from anywhere in the world. The channels it offers include both free and premium ones. Aside from live streams of different TV stations and video streaming services, Maverick TV also has an impressive collection of movies, fitness videos, and even documentaries. This add-on is available from the Maverick TV website. The Ultra IPTV add-on allows users to live stream TV channels from around the world, which includes sports channels and news channels. The add-on also features movie channels in other languages, so users who find themselves outside of their home country can definitely find entertainment in their own language. The Cazlo repository contains the Ultra IPTV add-on. The cCloud TV add-on includes a collection of TV channels and its TV shows. It has a branch add-on called the cCloud Live TV which gives users access to live TV from different countries around the world. These two add-ons are available from the Cazwall repository. This add-on gives Kodi users access to both free and premium TV channels from different countries, thereby presenting shows in different languages. The Ultimate IPTV can definitely allow you to watch overseas TV channels, but if it does not enable you to bypass geographical restrictions. This add-on is available from the Super repository. The UK Turk add-on gives users access to a personal collection of movies and videos by a technologically-savvy person who lives in the United Kingdom but is from Turkey. Because of the person’s origin, most of the items in the collection are from Turkey and the UK. You can get this add-on from the Cerebro TV repository. The BBC iPlayer gives users access to BBC channels which are well known for its high-quality programs. The iPlayer WWW add-on allows the BBC iPlayer to be channeled to your Kodi media player, giving you access to BBC’s programs and channels. Through the SmoothStreams add-on, users can view 50 US channels, including major networks and special broadcasts. This add-on also allows users to watch via live streaming sports events such as NBA, NFL, and MLB. This particular add-on allows users to access US TV networks including NBC, Fox News, CBS, and ESPN. For people who are already active subscribers of USTVNow, simply sign in at the initialization of the add-Finest is a pay per view on. If you want an extensive collection of US movies, Film Emporium is perfect for you. Aside from movies, the Film Emporium add-on also allows users to live stream US and UK TV stations. This add-on is available in the Dandy Media repository. Nemesis is a paid Kodi add-on whose content range from movies, anime, cartoons, TV shows, audiobooks, and even adult contents. Nemesis uses different sources for its videos, including torrents, with the use of Real-Debrid. Users can view the videos in high quality 4K format, with speed that is quite impressive. Planet MMA which is previously named UFC Finest is a pay per view add-on that allows Kodi users to watch UFC fights live. It also includes a library containing profiles of fighters, documentaries, past fights, and other entertainment related to UFC. The Planet MMA add-on is available in the Ares Project’s Magic repository. Vader Streams is a paid service that gives users access to premium channels such as HBO, and Hulu. Pay per view sporting events are also included in the add-on subscription fee. FilmOn TV is a film library that subscribers can access through their browsers. The FilmOn TV add-on, however, allows users to access this film library on the Kodi media library. To get the add-on from the Cazwall repository, users have to open an account with FilmOn TV first. SportsAccess enables users to access live sporting events such as NHL, NBA, and even soccer matches from anywhere in the world. This Kodi add-on is available in a paid subscription basis. The catch is that only Bitcoin is accepted as payment. Sports Mania is a premium add-on that people has to pay for. The subscription fee, however, is worth it because the UK company who owns this service has invested a lot of money in its server to make sure that users will have the ultimate viewing experience. This Kodi add-on has a league table for the English Premier League and it also shows highlights of past games, making it a favorite among soccer fans. However, Deliverance is more than just sports because it also has other categories such as children’s programs, documentaries, comedy shows, and other diverse programs. This particular Kodi add-on is a rich source of live sporting events, but only if the user has an active subscription to the sports channel. Users are also treated to highlights of recent games. Rising Tides is similar to Elektra vault in that it is a good venue for sports fans to watch their favorite events. Channels that are included to Elektra Vault’s list are ESPN, Fox Sports, BT Sports, and Bein Sports, to name a few. This add-on is available from the Mulla Fabz repository. The VidTime Kodi add-on focuses on live streaming of sporting events. For people looking for hockey games, UFC matches, and basketball games, VidTime is the go to add-on. It also shows highlights of game matches. This Kodi add-on has an extensive library of leagues which includes the Champions League, Premier League, Serie A of Italy, and Bundesliga of Germany. Football Repeat, as attested by its name, does not provide live streaming of games though, and it focuses on football only. The speciality of this Kodi add-on is recorded videos of live performances like stage plays and concerts. It does have live streaming services but only for sporting events. Aside from these features, Bandicoot Vids also has a library of movie classics. Kodi users who want endless music entertainment choose the BeatZ add-on because of its huge music library. You can get this add-on from Stream Army’s repository. Rave Player’s music library includes a special category for DJ sets and mixes. Its main feature is that it gives users a pre-selected mix of music, so users can listen to music for hours without them having to select the music individually. If you want to stream music, you can get this add-on from Super Repository. The add-on’s library is arranged by genre, and you can even make your own playlists. TuneIn Radio is already a popular music application that you can download in your gadgets. This particular add-on enables you to access TuneIn through the Kobi media library. Digital radio stations and DJ sets are available in the add-on’s library. The Music Source add-on has a library of different songs and music, and video music channels. Users may also access digital radio stations through this add-on. This add-on has a wide range of variety in its library in terms of cartoon programs for kids. It includes cartoon series, movies, and classics. CartoonsOn is available from the Noobs and Nerds repository. Aside from cartoon series and movies, the Cartoons Clown add-on also has movies and shows for children in its library. This particular add-on is available from Kodil and the Super Repository. Like other Kodi add-ons for kids, Cartoon HD has different cartoon programs in its library. In addition, it has educational programs and classic entertainment for children of all ages. This add-on is one of the favorites of Kodi users as it is well sustained and has minimal bad links. The add-on is accessible through the Xunity Talk repository. This add-on has a user interface that is well designed, and suitable for kids’ use. Therefore, children can navigate through its library of children’s entertainment by themselves, with minimal adult supervision. This add-on was developed and is distributed by Dandy Media. This particular add-on brings the two popular TV networks for kids to your Kodi media player. This add-on has a very large collection of Japanese animation, both movies and series. It has around 700 titles in its roster. The AnimeGo add-on is also a good source of anime entertainment, with an added advantage of fast transfer speed. However, its library is not as huge as that of AnimeFTW.tv. It only has 500 titles, compared to AnimeFTW’s 700. When it comes to the number of titles in its library of anime movies and series, KissAnime certainly tops the list. This add-on gives users more than 6,000 titles to choose from, making it the ultimate go-to for anime fans out there. Decado mostly uses YouTube as a source for its documentary videos. Therefore, users who want to watch documentaries through the Decado add-on must also have the YouTube add-on installed. Kodil and Super Repository have this add-on in their system. This add-on has been in the industry for quite a long time, and it has already amassed an impressive number of loyal followers. Most of its users are into factual documentaries, and Brettus has hundreds of type of videos. This add-on can be added from the Kodi repository, and it gives users access to over 2,500 documentaries and films. NASA mostly uses videos in order to explain their mission and the results of their expeditions. These videos can be viewed through the NASA Kodi add-on. Aside from these videos, the add-on also gives access to live videos of satellite images. 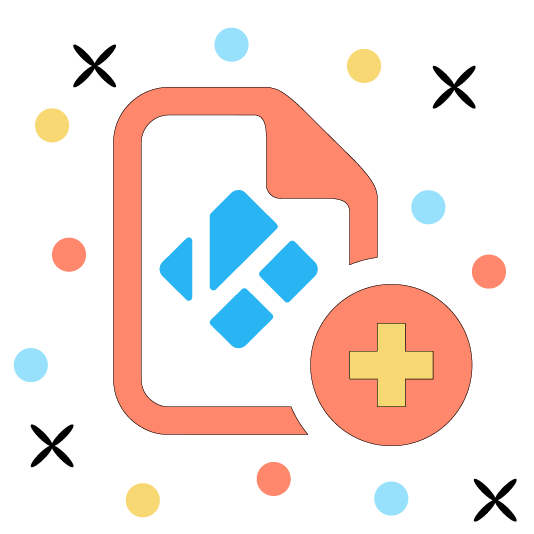 When you need to download a zip file after selecting to add an add-on, you would need to install the file directly in Kodi. If the filename has the word “plugin” at the start, the zip file contains only one add-on, that may automatically install supporting programs as well. Of the filename has the word “repository at the beginning, the file contains more than one add-on. Remember the directory to which the zip file was downloaded. Click Add-ons located in the side menu of the main screen. At the top left of the Add-on screen, click on the open box icon to go to the Add-on Browser. Select the zip file, from the directory it was downloaded. The step ends here if you are installing a plugin or a single add-on. This has been a very long list, but it ensures that there is a specific Kodi add-on for every user’s specific entertainment needs. It is important to reiterate that Kodi by itself is not illegal. But when paired with add-ons that somehow violates copyright laws, then that is another story. Choose a Kodi add-on that will give you the ultimate entertainment experience, and one that comes from all over the world. These add-ons can definitely give users access to entertainment material from other countries. The sad news though is that there are channels that are employing geographical restrictions such that some countries cannot access the specified channel. With a Virtual Private Network, however, this geographical restriction can be bypassed, allowing you to access information from other countries even though these are otherwise blocked in your current location. Using Kodi with a VPN can surely magnify your level of entertainment.